Worried about short rehearsal time? Think that fluffing your lines will be the end of your career? Are you afraid you'll be typecast? Is there such a thing as acting too much? How should a stage actor adjust performance for a camera? And how should an actor behave backstage? 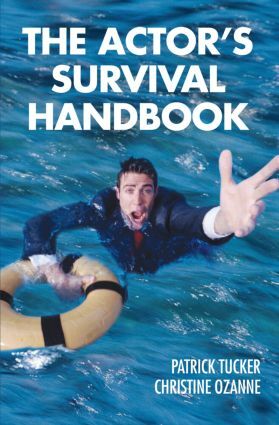 The Actor's Survival Handbook gives you answers to all these questions and many more. Written with verve and humor, this utterly essential tool speaks to every actor's deepest concerns. Drawing upon their years of experience on stage, backstage, and with the camera, Patrick Tucker and Christine Ozanne offer forthright advice on topics from breathing to props, commitment to learning lines, audience response to simply landing the job in the first place. The book is rich with examples - both technical and inspirational. And because a director and an actor won't always agree, the two writers sometimes even offer alternative responses to a dilemma, giving the reader both an actor's take and a director's take on a particular point. Like Patrick Tucker's Secrets of Screen Acting, this new book is written with wit and passion, conveying the authors' powerful conviction that success is within every actor's grasp.